During the early national signing period in December, P.J. Fleck hinted that his Gophers team could be active in college football’s free-agent market, with the possibility of adding transfers to the program. On Sunday, Fleck and the Gophers did just that. Randal Grimes, a wide receiver for Southern California, announced that he is transferring to Minnesota. “Sworn in. Can’t wait to get this train rolling. @GopherFootball,’’ Grimes tweeted. 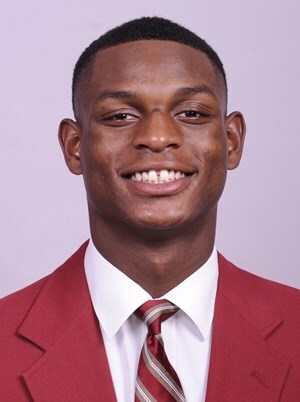 A 6-4, 205-pounder out of Desert Pines High School in Las Vegas, Grimes had two receptions for 17 yards for USC as a freshman in 2017 before being limited late in the season because of a broken hand suffered in practice. He played in three games in 2018 and did not catch a pass before announcing his intentions to transfer in December. Grimes was a three-star recruit and the nation’s No. 23-ranked athlete in the recruiting Class of 2017, according to the 247Sports.com composite of major national recruiting services. He played quarterback, receiver and free safety in high school, leading Desert Pines to the Nevada Class 3A state championship in 2016. Grimes had scholarship offers from 10 schools, including Nebraska, Brigham Young, California, Oregon State, Tennessee, Utah and Washington State. Grimes, who visited Minnesota’s campus this weekend, will be eligible to play for the Gophers in 2020 after sitting out this season as a transfer and will have two years of eligibility remaining.